Palestine’s signing of the Second Optional Protocol to the International Covenant on Civil and Political Rights, aiming at the abolition of the death penalty, as well as the signing of the First Optional Protocol to the said Covenant, which incriminates the crime of torture, represented an important step in the path towards establishing the legislative basis for the state of the rule of law, institutions and human rights. 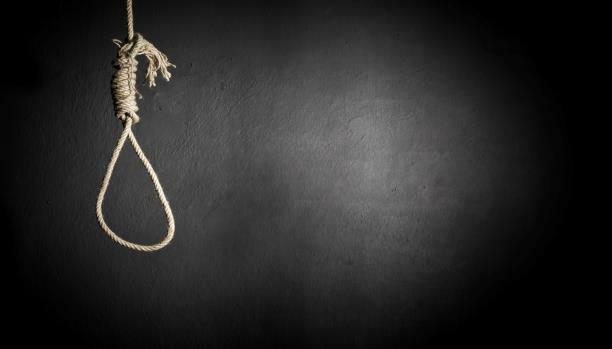 This step also comes as a response to the demands of several Civil Society Organizations (CSOs), including MUSAWA, and is in line with the increasing international trend to abolish the death penalty and its implementation, which include a number of Arab countries and a broadening international scope. The World Coalition against the Death Penalty celebrates the abolition of such penalty from its legislation, and the non-application or enforcement of it in its practices, on October 10th every year. This indicates the increase in the number of countries which have abolished the penalty, and the reduction of the number of countries that continue to implement it, with the exception of the state of the Israeli Occupation, which has begun drafting a legislation that allows it to impose the penalty on the Palestinian population. Signing the two said Protocols is an expression of Palestine’s will to adhere to the International Bill of Human Rights, which consists of the Universal Declaration of Human Rights, the International Covenant on Civil and Political Rights, with its two Optional Protocols as an integral part of it, and the International Covenant on Economic, Social and Cultural Rights. This also announces and expresses Palestine’s will to commit to implementing the provisions of the International Bill of Human Rights, harmonize national legislation in a manner consistent with the principles and provisions contained therein, as well as its commitment to take the necessary legislative measures, mechanisms and procedures to ensure compliance with its provisions, both in word and practice. MUSAWA - The Palestinian Center for the Independence of the Judiciary and the Legal Profession is displeased by the issuance of death sentences from military and civil courts in the southern governorates’ after less than two months following the signing of the Second Protocol, which aims at the abolition of the death penalty. The duty bearers in the occupied State of Palestine must take legislative, administrative and executive measures, and take the necessary and non-deferrable legal action to abolish that penalty in all Palestinian legislation and publish that in the formal Palestinian Gazette. They should also grant legal effectiveness and legislative status to the International Bill of Human Rights with all its components, and adhere in practice to all human rights guarantees contained therein. Instead of fulfilling all of this, the Palestinian legislation continues to contain provisions for the death penalty, and Palestinian military and civil courts continue to impose it. 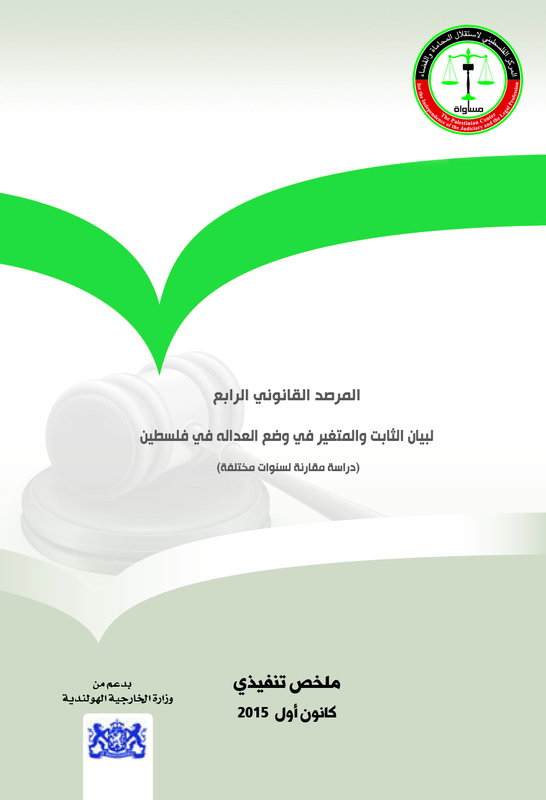 In reference to the verdicts of capital punishment issued by the Courts of First Instance in Gaza and Deir Al-Balah and the Military Court in Gaza, and despite the fact that the procedures for implementation have not been completed, it should be noted that the mere issuance of the verdicts based on legal texts in the Palestinian legislation constitutes a serious breach of the requirements to commit to the International Bill of Human Rights. MUSAWA also notes the increase in the number of death sentences issued since the beginning of the year 2018 to five verdicts, four of which were issued by civil courts of First Instance, and one issued by the Court of Appeal. This raises the number of verdicts issued by the State of Palestine since 1994 to 207, 177 of which were issued in the southern governorates - Gaza Strip, and 30 were issued in the northern governorates - the West Bank. Among the verdicts issued in the southern governorates, 119 were issued during the Palestinian division since 2007 till today. While MUSAWA reaffirms its opposition to the death penalty as well as its repeated demands for the abolition of it, both in legal text and practice, since 2008 until today, which was expressed in legal memos and position papers documented in Eye on Justice Gazette, and published by the media, MUSAWA’s website and social media platforms, and which include a clarification of the reasons and obligations for the abolition of the penalty and its implementation; MUSAWA reaffirms again its opposition to the death penalty, which contradicts with the modern criminal philosophy, especially in light of the lack of fair trial guarantees, and the deterioration of the citizens' trust in the justice system, be it the civil or the military judiciary, in addition to the impossibility to have a proven certainty for the crimes on which the Palestinian legislation stipulates the death penalty for the perpetrators; in pursuance of the scientific truth which considers the judgments as an expression of the truth, but do not necessarily set the truth or provide the correct assessment, thus raising realistic and scientific doubts in the proven certainty of its occurrence as is applied in the Palestinian judiciary. And proceeding from the fact that doubt, regardless of its degree, should be explained in the interest of the accused, it is concluded that the permanence and imposition of the death penalty contradicts with the obligations of enforcement, even based on the wrong premise to accept it. MUSAWA demands the authorities in Gaza to abolish the execution of death penalties, and to immediately stop any current or future implementation of it. MUSAWA also calls upon the duty bearers to take the legislative and administrative measures to ensure the abolition of the penalty, both in legal text and practice, noting that our people are in dire need of international support and understanding of their political and civil rights, which requires a practical Palestinian commitment to the international covenants and treaties Palestine has acceded to, in addition to the protection of the human rights, in particular the right to life and human dignity, and engaging the community in the decision making process.